The agriculture commissioner focuses on much more than cows and crops. Texas' agriculture, crops and cattle are known across the country and around the world. The state's "Go Texan" campaign can be seen in grocery stores and TV ads across the state: Why buy vegetables from California, when you can pick from that (noticeably labeled) batch from Texas? But the office does more than sell the product; it also helps farmers and ranchers successfully grow it. 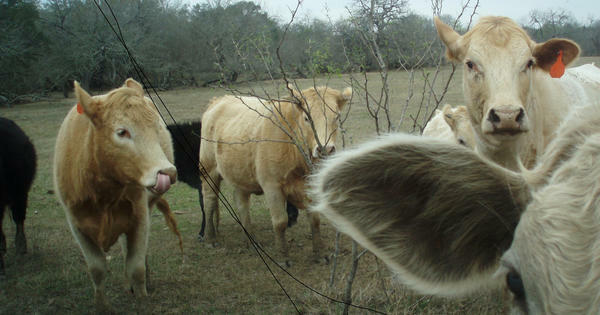 "If you're a farmer or rancher, there's always some kind of critter trying to get in your business," says Hugh Brady, the director of UT's Legislative Lawyering Clinic. "If you raise cotton, it's boll weevils; if you've got cows, its brucellosis. I mean there's always something threatening agriculture. And so, the office was kind of set up to deal with those things." The office is also there to make sure farmers and ranchers aren't overdoing it when it comes to fighting off those pests. "There's also a regulator aspect to it, which sometimes they're not quite as happy about," says Bill Peacock, vice president of research at the Texas Public Policy Foundation. "Regulating pesticides and those types of things to make sure, again, there's an environmental aspect to this office as well." Those are the old-school, traditional duties of the agriculture commissioner. But the office has taken on new responsibilities over the last decade – starting with efforts to make school lunches healthier. "The largest part of the Ag Department today is its newest, and this is the nutrition part of it," Peacock says. "A lot of people don't realize this and this really just came up through the [former] commissioner, Susan Combs. It now is a funnel for a lot of federal money that provides nutrition programs" to students. The office has another regular point of contact with Texans that you may not know about: It’s the state certifier of weights and measures. "They do gas pumps. They do weights in grocery stores," Peacock says. "Anytime the public is being sold a quantity of something, more than likely the scales and measurements that are being used are certified by the Ag Department." So, the next time you get a half-pound of cheese or a gallon of gas, you have the agriculture commissioner to thank for making sure you get what you paid for.